These are lyrics by MxPx that we think are kind of repetitive. 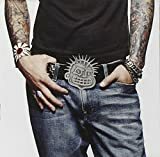 MxPx's, "I'm O.K., You're O.K." And I'm away and you're O.K. You're here to stay and I'm O.K. These lyrics are not only repetetive - they're confusing!